Once upon a time there was an old man called Donald. One day, a god came to him and gave him the powers to be a spy. Spies have to be very gentle. Donald learned to not make noise when he was spying. 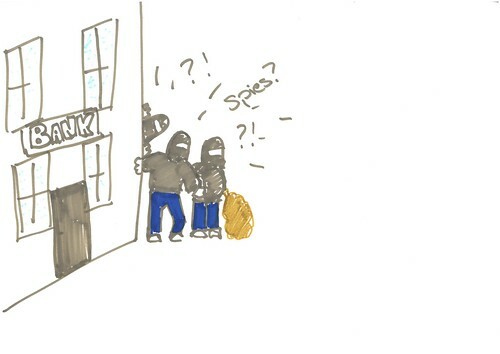 When he was spying, Donald noticed that robbers were robbing the bank. He tried to stop them but he couldn’t because he was a secret agent. Donald made too much noise and the robbers heard him on the roof. The robbers were too strong so Donald fled. He hid where the robbers couldn’t see them and followed them home. 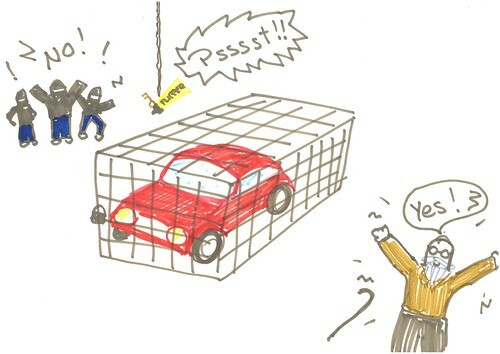 When Donald snuck into the robbers’ house, he saw a Lamborghini in a cage. Then he suddenly remembered he hadn't taken his medicine. Donald fell over because he was so sick. “Flipper, can you help me?” asked Donald. 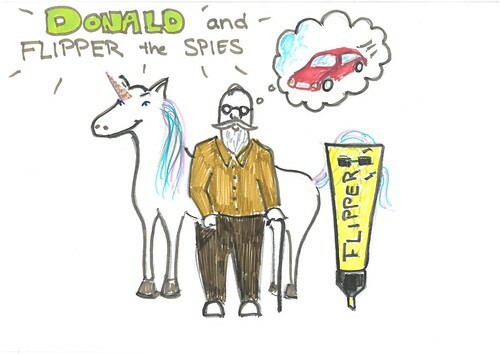 Flipper the Spy Marker came out of Donald’s pocket. “Can you get the key for the cage?” asked Donald. The key was hanging on the doorknob. “I’m going to use my string gadget to pull myself towards the key and unlock the cage. Then you’ll have a nice Lamborghini like you always wanted,” said Flipper.